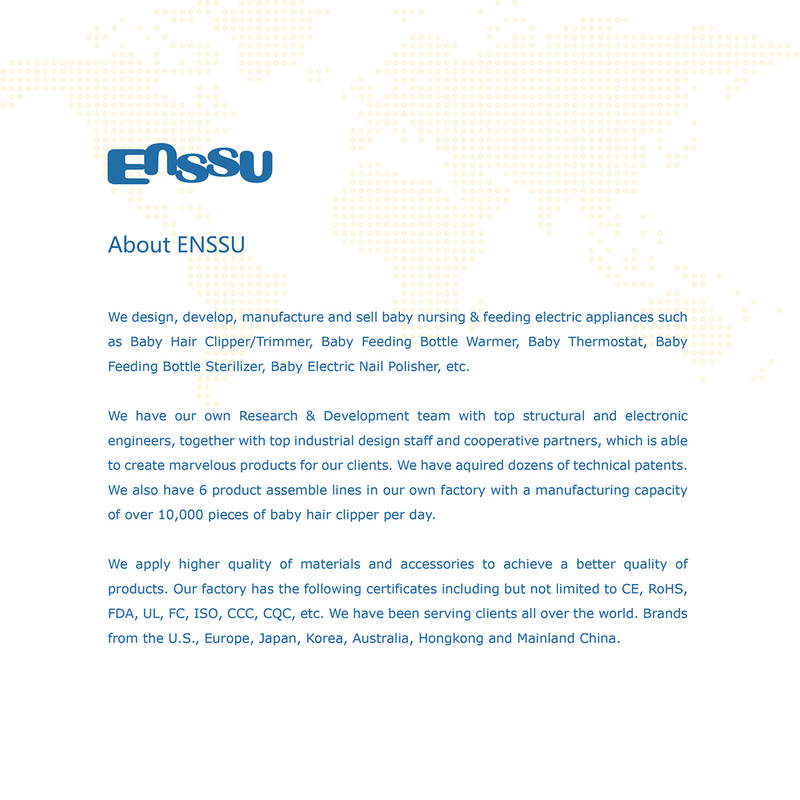 Enssu started their business from Baby Hair Clipper,Baby Hair Trimmer And Baby Hair Shaver.We have design,develop,manufacturing and selling child friendly hair clippers many years ago.And allo of our products we have our own mould for it. If you have a baby to take care of, you may need to trim their hair from time to time. Babies’ hair tends to grow too fast. In this article, we are going to guide you as to how you can trim your baby’s hair. So, read on to know the tips. Prepare a bath and get a few bath toys in the tub. This will create a happy environment for your kid and they won’t get scared. The toys will keep them entertained throughout the process. Use water to dampen the hair of your baby. If they don’t like to get their hair wet, you can mist their hair using a spray bottle. As an alternative, you can run your wet fingers through their hair. You can use a comb to set your kid’s hair apart in the middle. Secure each side with good quality hair elastic, which is important if your kid has curly hair. Pinch some hair vertically using your fingers. Now, cut the hair that is above your fingers. Your fingers should be between your baby’s head and the scissors. It’s not a good idea to use blunt scissors or the scissors used to cut clothing. Using these scissors will damage your kid’s hair. Don’t forget to trim the hair around your baby’s ears. It may be hard to work on this section as you won’t have anything to buffer with. Moreover, your baby will tend to move around. What should you do if you don’t know how to trim the hair of your baby using a pair of scissors? The fact of the matter is that most people don’t know how to go about trimming their baby’s hair. Most parents fear that they will end up damaging their Kid’s hair instead of doing a good job. So, what should you do in this situation? There is a good alternative: baby hair clippers. They are also known as baby hair trimmers. As the name suggests, these small machines have motors inside them. These battery-powered devices are handheld and can be used to trim a baby’s hair in a few minutes. Once charged, these devices are ready to use for up to an hour. So, you have plenty of time to do the job. All you need to do is turn the unit on and use it to trim the hair of your baby when they are asleep. So, these are a few tips that can help you trim your baby’s hair without any problem. 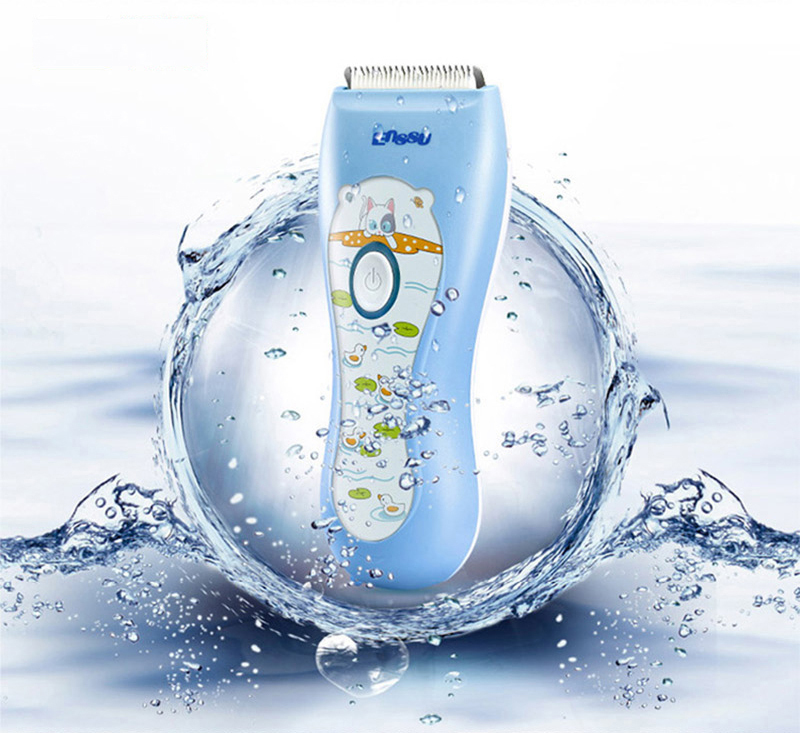 A baby hair trimmer is a machine that can help you trim your baby’s hair at home. You can check out a great collection of baby hair clippers on Enssu.